Free Printable Dartboard. Free Printable Dartboard game to have fun with your friends, family and guests. 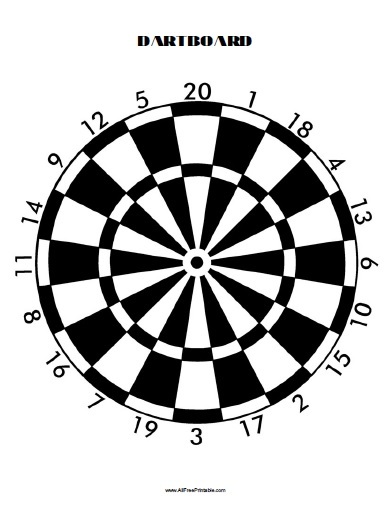 Print the Dartboard game using your inkjet or laser printer and have fun with you friends at a party or celebration. All you need is this free printable dartboard and a set of darts. Then attach to a door or tree and have fun. You can use it at a birthday, a special day, at a camping, or just when you are bored. Click the link below to download or print the Dartboard Game. Have fun at the Party!